Want to watch March Madness online? Here is a complete guide showing you how to legally watch March Madness live stream without cable in 2018. At $39.99 a month, PlayStation Vue is the best way to stream March Madness. Hulu gets you strong March Madness coverage, plus tons of on-demand content for $39.99 a month. YouTube TV offers a great service for $40 a month, but it doesn’t work on many streaming devices. This may come off as hyperbole, but the NCAA March Madness tournament is the most exciting thing in sports. A single-elimination tournament with over 68 teams, each playing like their lives depend on it? Sign us up for that. As we know, watching the highlights of buzzer-beaters is never as good as seeing the moment live, and if you’re on this page, you’re probably sick of cable. That leaves you with one option—watching the madness with a livestreaming service. Fortunately, that’s our area of expertise, so let’s make sure you know how to watch March Madness online. We know some of you don’t tune in to March Madness until things get really serious in the later rounds, so we’ll cut to the chase. You can watch the Final Four and the March Madness championship on TBS, which, thankfully, is a super easy channel to stream. For more details, check out our guide on watching the Final Four here and our guide to watching the NCAA championship game here. March Madness games are split across CBS, TBS, TNT, and TruTV. With that in mind, we’ve prepared the best options for livestreaming March Madness without cable. Now let’s break down the pros and cons for your best options to stream March Madness. PlayStation Vue is your best bet for getting access to every game in the NCAA March Madness tournament. Try out PlayStation Vue and watch March Madness for free with a 5-day trial. You’ll get every channel you need to watch the NCAA tournament with the basic PlayStation Access package ($39.99 a month). Along with the channels you need, PlayStation Vue hooks you up with the March Madness app, which is a big deal. The March Madness app makes it so you can watch every game in the same place. You can upgrade your PlayStation Vue channel package—but it’s definitely not necessary. Our advice would be to check out the channel list, and if you’re missing some favorite channels in the Access package, you can always upgrade. Thankfully the Core package covers most popular channels. PlayStation Vue is the best overall choice because it carries over 109 affiliate markets. In other words, you should be able to flip between CBS, TBS, TNT, and TruTV without ever leaving your PlayStation Vue app. That beats having to switch to an antenna whenever you want to watch CBS because your streaming service doesn’t carry it. PlayStation Vue has another thing going for it: the streaming quality looks super solid. We’ve tested all the streaming services out there, and we have to admit, PlayStation Vue offers the smoothest overall stream. That’s a major plus for watching March Madness. The last thing you want is for the stream to bug out right before a potential buzzer-beater. Of course, streaming quality still depends on your internet speed (we recommend at least 15 Mbps), but PlayStation Vue makes the most of your speed. Last but not least, PlayStation Vue hooks you up with unlimited cloud DVR. It’s pretty much impossible to watch every game and still carry on with a normal life—unless, you have unlimited cloud DVR. With this service, you can record as many games as you want and watch them whenever convenient. Be aware that your content deletes after 28 days, so make sure to stay up to date with your recordings. Luckily, you don’t need a PlayStation console to watch March Madness with PlayStation Vue. There are lots of devices you can use. You’ve probably heard of Hulu before, but you may not have heard that Hulu streams live TV now. Try out Hulu with Live TV, and if you can time it right, watch March Madness live for free with a 7-day trial. You have to make a lot of tough decisions in life; thankfully, getting Hulu Live won’t be one of them. Hulu Live offers only one channel package, which includes all the channels you need to stream March Madness live for $39.99 a month. Along with CBS, TBS, TNT, and TruTV, Hulu with Live TV hooks you up with over 55 other channels. If we’re being honest, our favorite thing about Hulu isn’t the live TV selection—it’s the amazing on-demand content. If you ever find yourself in a lull between games, you can watch a few episodes of The Simpsons or Brooklyn Nine-Nine because why not? Ordinarily streaming Hulu on demand costs $7.99 a month, so getting it for free with your subscription is definitely better. Rest assured, you’ll be getting a solid stream with Hulu Live. We watched d college basketball on Hulu Live, just as a test run of what streaming March Madness might be like. Yes, we do care about March Madness that much. We’re glad to report we didn’t experience any sudden glitches, lags in the stream, or system crashes. Watch March Madness with confidence—you won’t run into any streaming disasters at the end of a close game. Hulu Live’s interface does its best to guess what you want to watch rather than giving you a guide to choose from. If you like the predictive algorithm vibe, then Hulu can make solid recommendations based on what you like watching. If you’re a traditionalist who misses the good ol’ days of a channel guide, you may be annoyed. But if you’re just in it to watch March Madness, Hulu’s interface brings big events, like March Madness, to the forefront making jumping into the action super easy. You also get 50 hours of cloud DVR storage, which can really come in handy when you’re watching a tournament with over 50 games. You can stream March Madness with Hulu Live on pretty much any streaming device out there, except for PlayStation consoles. You’re familiar with YouTube (in fact, you might be watching March Madness highlights right now), but now you can watch live TV on YouTube. You can watch March Madness for free and try out YouTube TV’s 7-day free trial. You’re probably a little tired of making decisions after filling out your bracket, so here’s the good news—YouTube TV offers only one package. You get CBS (with decent coverage), TBS, TNT, TruTV, and more than 50 other channels for $40 a month. If you’re comparing prices, YouTube TV is still one of the cheaper ways to stream March Madness, so if you happen to have a compatible device, we highly recommend it. We should also mention that YouTube TV is one of the few streaming services that authenticate with the NCAA March Madness app. As opposed to YouTube TV, the NCAA March Madness app works with most streaming devices, which you can use as a workaround if you don’t have an Apple TV or Chromecast. Out of all the streaming services out there, we’d say it’s almost a dead-tie between PlayStation Vue and YouTube TV for best streaming quality. If we absolutely had to decide, we’d give the nod to PlayStation Vue, but like we said, it’s close. Expect HD streaming quality with YouTube TV, and enjoy its easy-to-navigate interface while you’re at it. Another cool thing about YouTube TV? It has unlimited cloud DVR. We won’t judge you if you need to record some of the tournament games instead of watching them live—there are over 50 games, after all. Take advantage of the unlimited cloud DVR and record as much March Madness as you want. Unfortunately, YouTube TV doesn’t work with many streaming devices, but you can still watch use it to watch March Madness if you have a Chromecast or Apple TV. DIRECTV NOW is for the fan who wants to watch March Madness and then flip around to other channels during commercials. You can give DIRECTV NOW a try and watch March Madness for free with a 7-day trial. You’re going to like this—you can stream March Madness with DIRECTV NOW for $35 a month. That’s a few bucks cheaper than other streaming services, plus you get more channels as well. DIRECTV NOW’s Live a Little package hooks you up with CBS, TBS, TNT, and TruTV, plus 60 other channels. If channel variety is your thing, DIRECTV NOW might be a good fit, but if just watching March Madness is the focus, you’d be better off with one of the other two options. The bad thing about DIRECTV NOW is that it offers super weak CBS local coverage. Unless you live in a massive city like Los Angeles, Chicago, or New York, the chances are very slim that you can watch March Madness games on CBS using DIRECTV NOW. But if you’re still committed to DIRECTV NOW, consider pairing your subscription with an antenna to get your local channels. We’ll talk more about antennas a little later on, but if you want to watch March Madness with DIRECTV NOW, it’s a must-have. If you’ve got a streaming device, chances are you’ll be able to stream NCAA March Madness very easily with DIRECTV NOW. Let’s say you sign up for a streaming free trial, and you go to watch CBS. Sadly, your streaming service of choice doesn’t get your local CBS station. Don’t panic—there’s actually a super easy solution. Antennas work just like you remember—stick it by your TV, and voila, you’re getting local channels. Thankfully, antennas have developed to the point where they don’t look like giant rabbit ears extending from your TV either. If you search for an antenna on Amazon, you’ll probably feel overwhelmed with tons of options. There’s already enough stress when it comes to filling out a bracket—let’s not add choosing an antenna to it. We’ve tried out a lot of the antennas out there, and we were most impressed with the Mohu Leaf 50. We picked up all our local channels, the signal looked good, and the device was easy to hide behind a TV. You can read more about our thoughts on the Mohu Leaf 50 here. If you want to watch March Madness online, there an app for that. The official NCAA March Madness Live app lets you stream every single game from your phone, tablet, or streaming device. There’s a catch though—you need credentials from a cable provider to use the app. The only streaming service that’s compatible with the March Madness app is PlayStation Vue. Another option is getting your hands on some cable credentials.  To avoid the awkwardness of asking for somebody’s cable credentials, we recommend just going with PlayStation Vue. March Madness is a time of decisions—what upsets will inevitably happen in the first round, who will end up winning at all, and finally what streaming service to use to watch all the March Madness unfold. We’ve laid out all the options for you, and it’s time for you to decide. Now we’ve got questions for you. What streaming service did you decide to go with to livestream March Madness? What has your experience been like? Do you have any more questions about streaming March Madness? Let us know in the comments below.